Location, Location, Location! 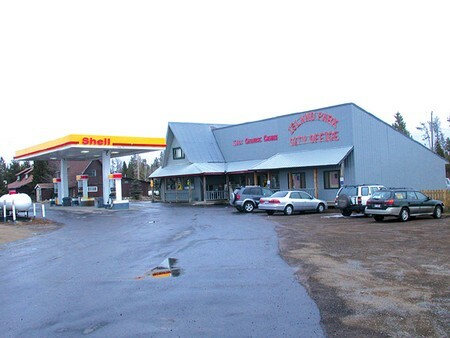 Heres your chance to own the Last Chance General Store/Shell Gas Station. This business has approx 358 feet of Highway 20 frontage and 4371 sq ft in the store, 864 sq ft office space, 750 sq ft car wash, 1436 sq ft south building space, and 1792 sq ft modular home. Approx a total of 1.2 commercial acres with gas station pumps, general store, office space (rented to the Island Park City), car wash, three 10,000 gallon fuel storage tanks, modular home, and another commercial building. Included in the sale are all business appliances and equipment, all inventory at closing, and other buildings on the property. You wont find a better commercial deal in town.